From visionary anime auteur Masaaki Yuasa, comes a joyously hallucinogenic, but family friendly take on a classic fairy tale about a little mermaid who comes ashore to join a middle-school rock band and propel them to fame. 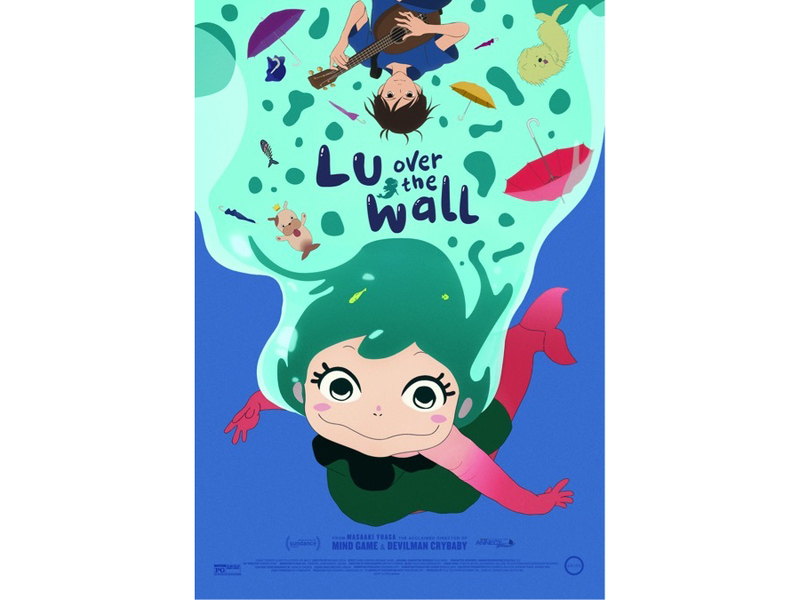 GKIDS, the acclaimed producer and distributor of animation for both adult and family audiences alike, is proud to present director Yuasa’s new feature film, Lu Over The Wall, to be released nationwide on May 11, 2018. The movie has already received the Grand Prize at the prestigious Annecy International Animation Festival and the English dubbed version was an official selection of the 2018 Sundance Film Festival. Michael Sinterniklaas from Your Name, abd the beloved Teenage Mutant Ninja Turtles along with Stephanie Sheh from Sailor Moon Crystal, lend their voices to the jubilant film. Yuasa’s genre-mixing mastery will leave you humming, long after you leave the theater.